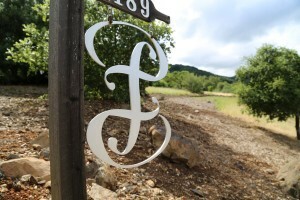 Porter Family Vineyards is located in the hills on the edge of the Coombsville region east of the town of Napa. As a result the vineyards here are all hillside planted with great views looking north into the Napa Valley. 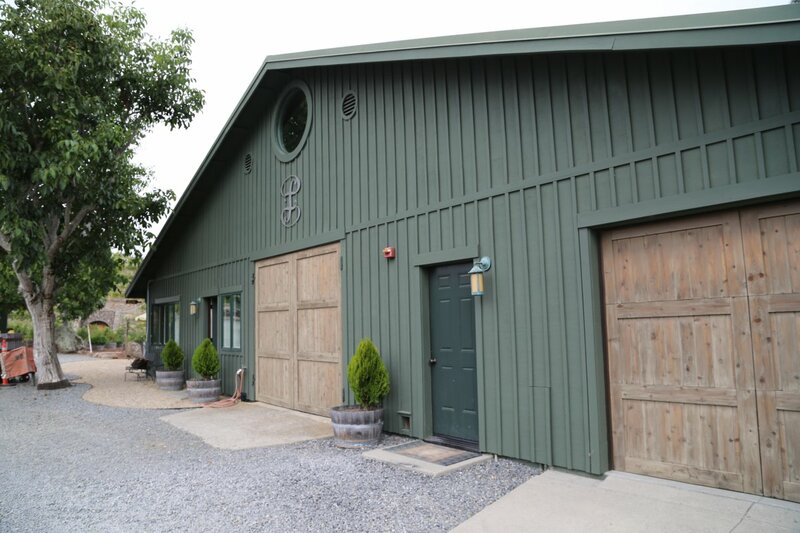 This winery is owned and operated by Tom Porter and his wife Beverly – their daughter Heather is the Director of Winemaking and her brother Tim is also involved. Before starting this winery Tom spent 27 years at IBM and was a part of a team there created or patented a number of notable pieces of technology including IBM’s first digital modem, an automated ticketing system for the Bay Area Rapid Transit System (BART, public transit system located in the San Francisco Bay Area) and also patented part of the internal mechanics of the once very popular 3.5″ floppy disk drive that was an industry standard in desktop systems for nearly 20 years. Coombsville in general is cooler than up valley (along with other southern parts of the Napa Valley) with marine influences coming from the relatively nearby San Pablo Bay. 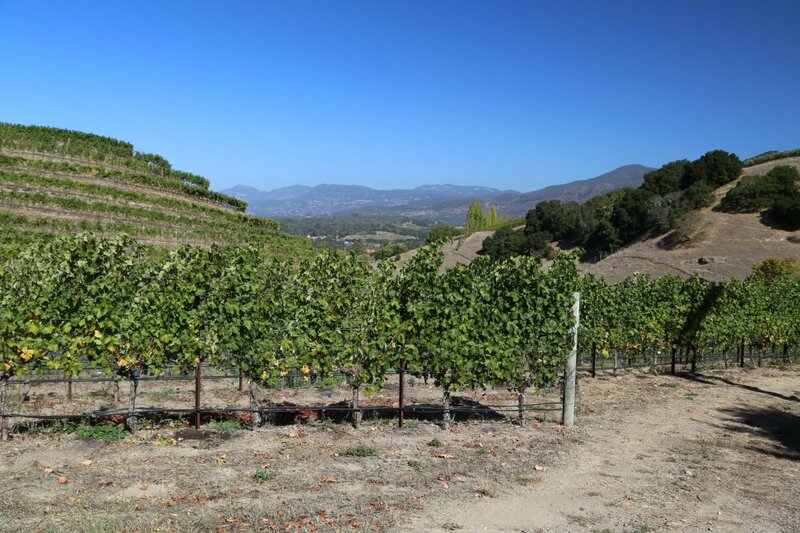 As a result hang time is often very long with harvest occurring in mid October to early November. This helps ensure a slow maturation providing well balanced ripe fruit with lots of flavor intensity. 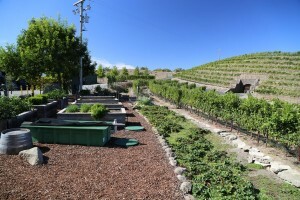 Their location is ideal for growing grapes; the soils are volcanic ash and are shallow (generally 6 inches to 2 feet deep). 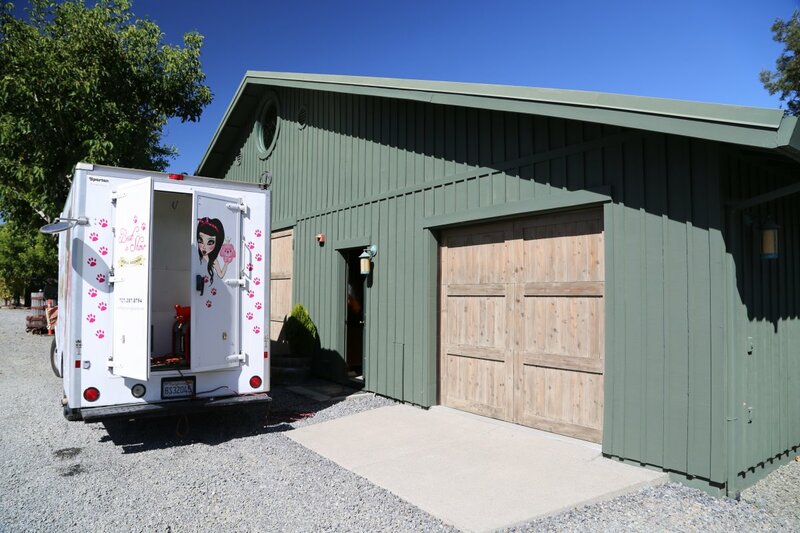 The property boasts excellent views – on a clear day after the fog lifts you can see all the way up the valley to Mt. 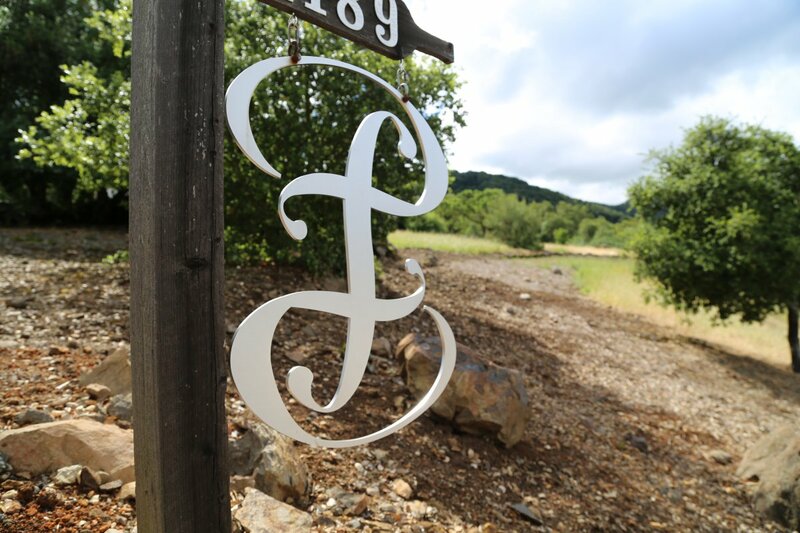 St Helena – above Calistoga, about 30 miles to the north. One side of the property backs right up against Skyline Wilderness Park ensuring the surrounding land will never be developed and will remain in its natural state. Margrit Mondavi also likes this neighborhood – her home is perched on a hill above the Porter’s property. 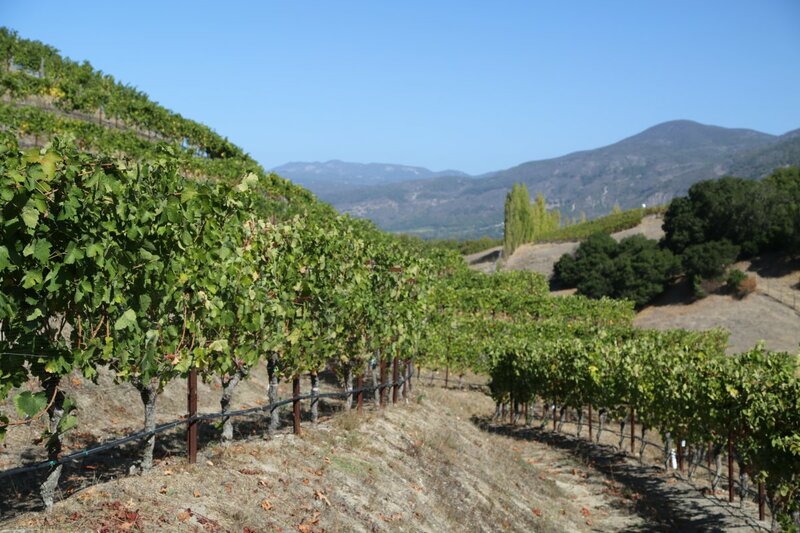 A number of varietals are planted on site including Syrah, Merlot, Petit Verdot, and Cabernet Sauvignon, as well as Cabernet Franc and Malbec. 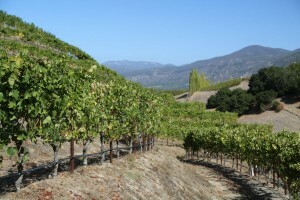 More recently a rare variety for Napa was planted – Grenache. 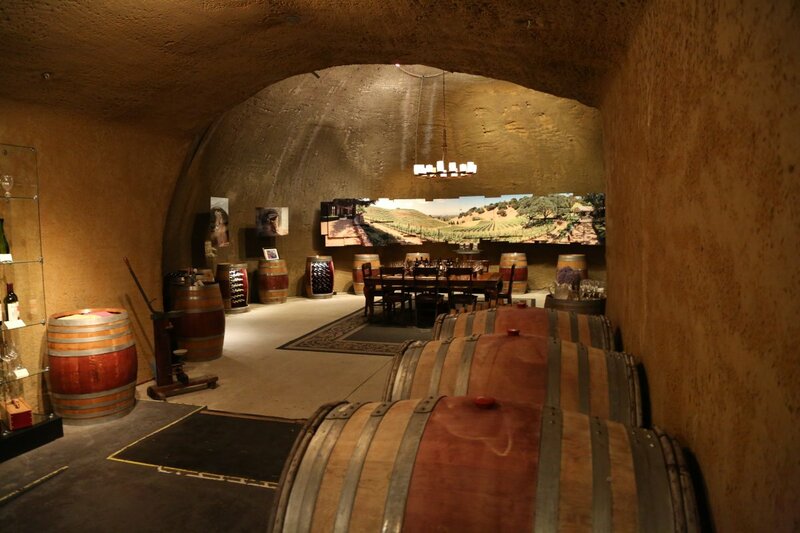 Aside from the crush pad, the winery is entirely underground in their 17,000 square feet of caves. At the time of our visit, the caves were completed with additional inside work still in development. Also of note is during the tunneling of the caves a large piece of sandstone fell from the ceiling of one of the tunnels. It contained a number of visually intriguing fossilized footprints of Sand Piper birds (dated back over 5 million years ago). At that time, a beach on what is now the San Pablo Bay or perhaps even the edge of the ocean was located what is now 50 feet underground. Incidentally the construction of their cave was featured on an episode of Dirty Jobs, a TV series on the Discovery Channel. 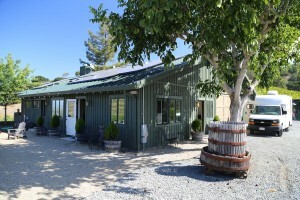 This is one of the most technologically self contained wineries within the Napa Valley. 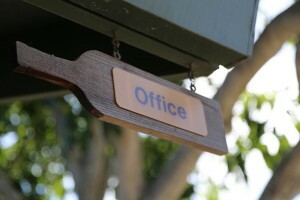 It is state of the art. Tom has a background in the computer software industry and has put a lot of thought into this winery especially into the computer algorithm controlled systems. 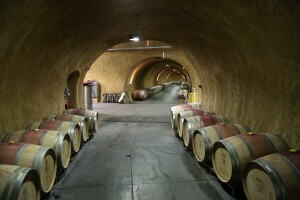 Four large tunnels lead from the surface to strategic parts of the cave providing air flow when needed – anemometers are stationed outside both entrances providing wind speed measurements and the inside is completely climate controlled and adjusts for various factors including humidity, temperature and external conditions such as cave doors being opened and closed. The temperatures and other climatic factors can quickly be seen on an iPad app – with notifications sent to someone when these conditions go outside of their norm. Large fans and humidifiers are stationed at each entrance. In addition all tanks are located under automatic computer controlled punch down devices which can be moved from tank to tank as they are located on rails. Small fermentors are used and with the help of technology they can track specific vineyard blocks or even specific vineyard rows all the the way from vineyard to fermentation to aging. 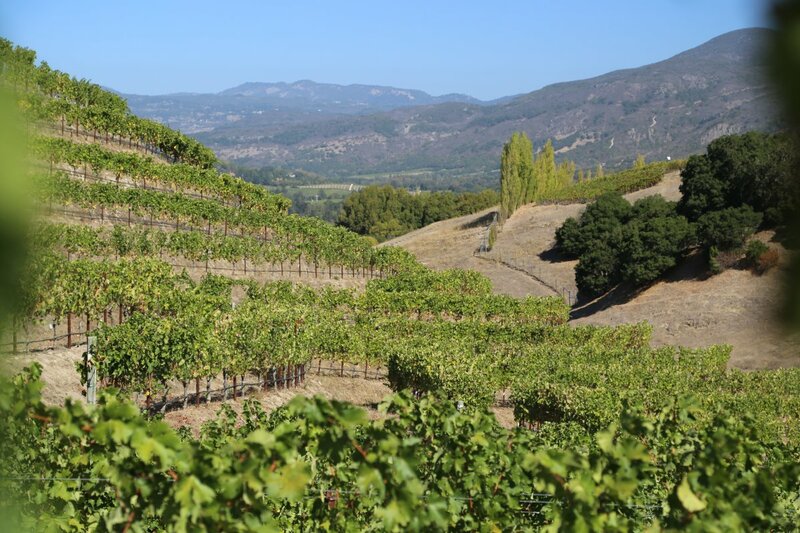 This type of technology combined with wine making allows them to track things such as problems in a specific part of their vineyard, fermentation and aging data. This technology is not only represented in the cave but in the vineyards as well. 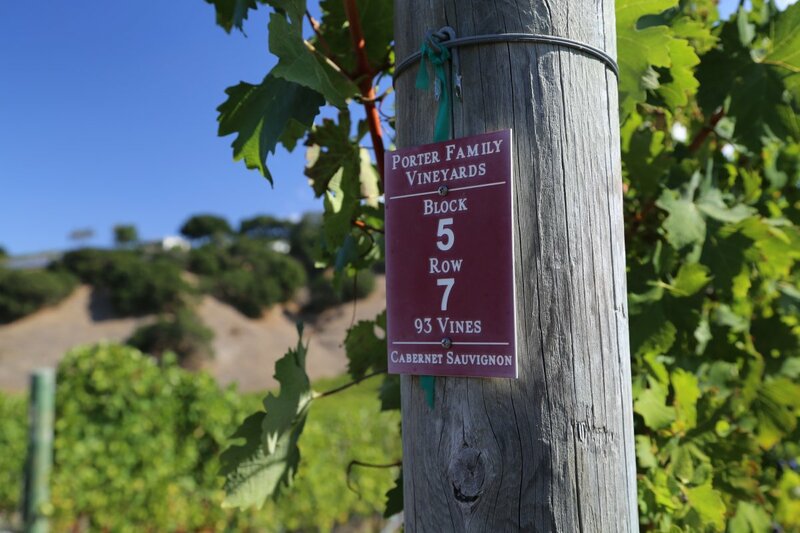 While most wineries have one watering system for the vines, Porter Family has two. The second “targeted irrigation” system is designed to place water on only weak or young vines, thus avoiding waste of water on all the vines. 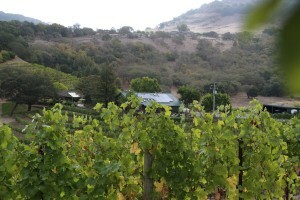 Their first ever vintage was 2005 and was released in early October 2008. 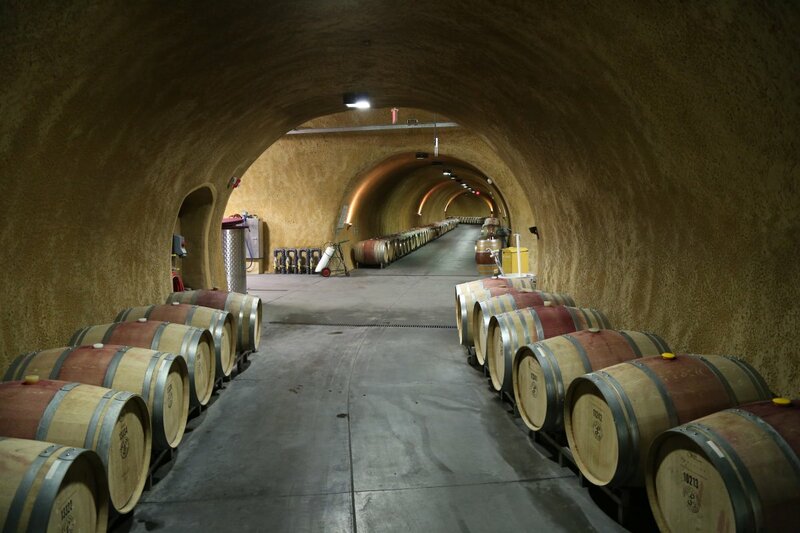 The entire initial production (based on the amount of vineyards on site and the size of the cave is remarkably small – at the time of this update they only produce about 2,000 cases annually (between the estate fruit and purchased fruit). 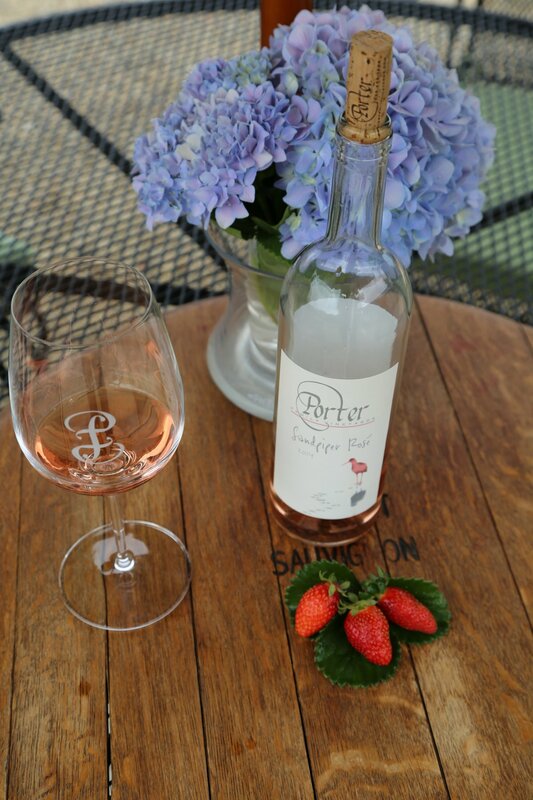 The 2014 Sandpiper Rosé (named after the fossilized bird footprints found during the construction of the cave) is a blend of 80% Syrah and 20% Pinot Noir. They pick the Syrah for this wine 2x each harvest – looking for the right sugar/acid balance. 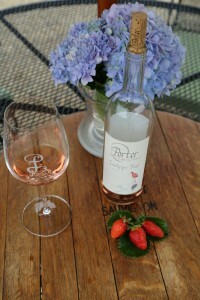 It shows delicate aromas on the bouquet of strawberry and raspberry. Texturally on the palate it is soft and rounded but with a liveliness of fruit that lingers cleanly on the finish. They recommend pairing this with fresh strawberries. 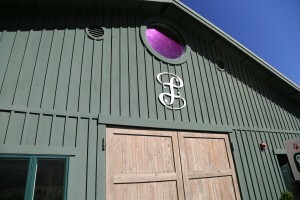 Their main focus is on Cabernet Sauvignon but they do make other red wines. We tried their 2005 Cabernet Sauvignon; this is blended with Syrah from two different vintages and just a touch of Merlot. Their Syrah is an intense rich fruit and adds some nice structure, mouth feel and dark color to the wine. This is still a young wine of course but is already showing nicely with blackberry, cassis and notes of plum towards the finish. The finish is long and intense, one of those finishes that go on and on! 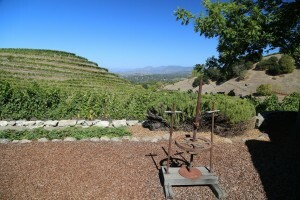 We also tried the 2005 Merlot – merely 1 barrel of this wine was produced. 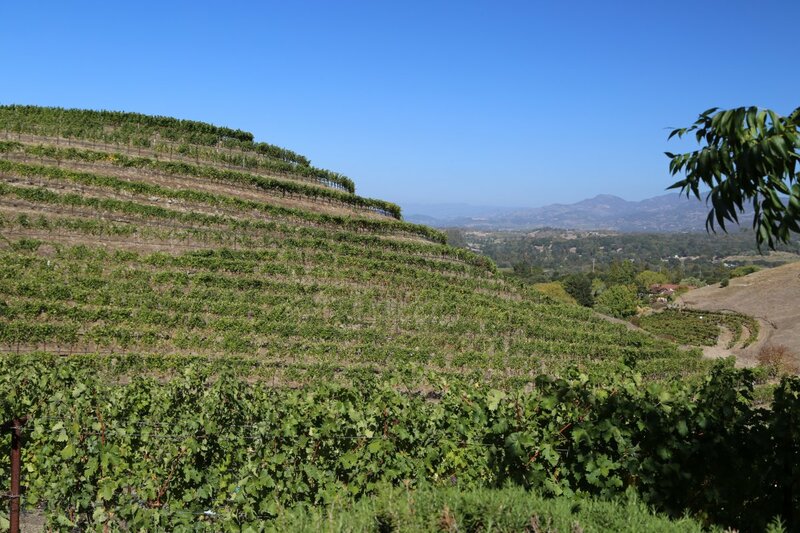 It has an elegant nose and the palate is all about flavors of cherry and licorice. 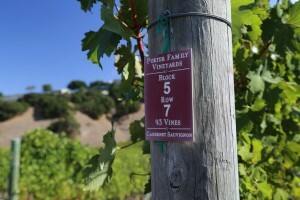 A very unique and rare wine for the Napa Valley is a wine they have appropriately and simply labeled Time. 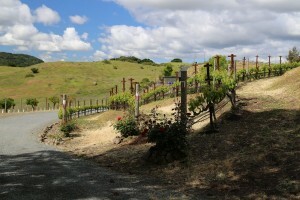 Only a handful of the 800+ Napa wineries/producers we have visited with even make a non/multi vintage wine. Each year it is released the name changes based on the number of the release – the first release was called Time, then Time II and Time III etc. 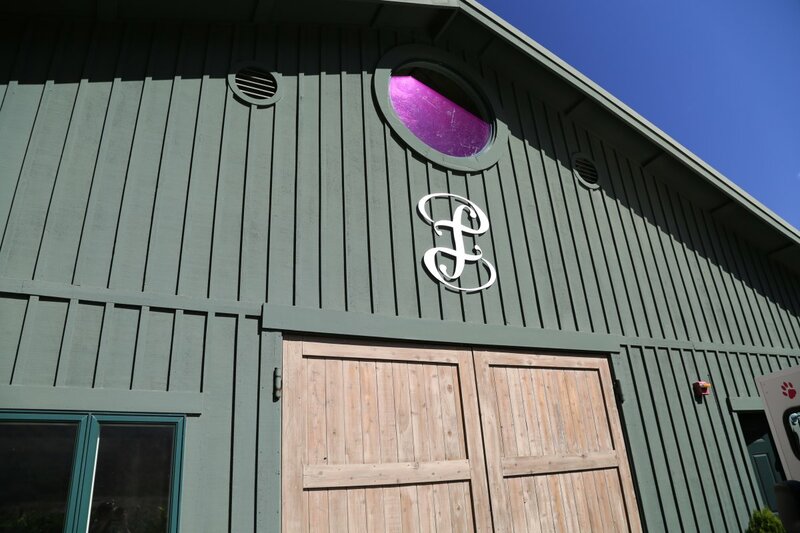 This is a multi vintage 100% Estate Cabernet Sauvignon featuring a barrel selection each year of what the wine making team decides are the best barrels from that vintage. 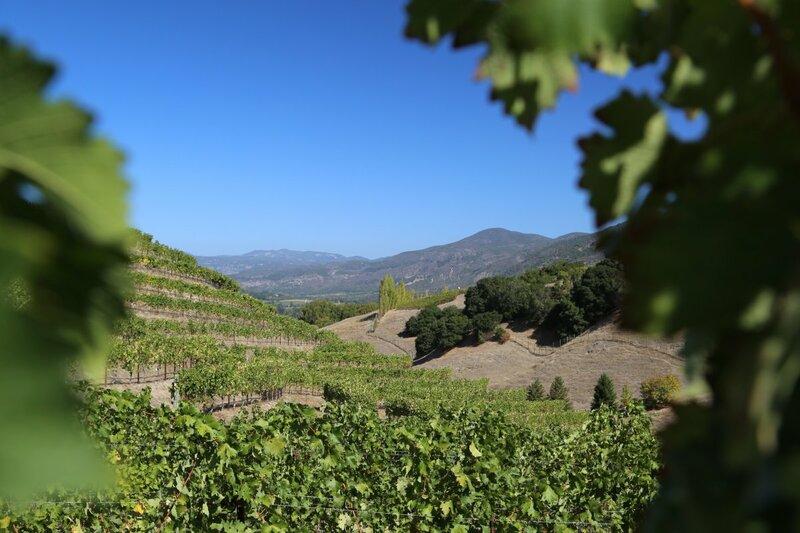 Each Time wine always features 25% of the most recent vintage; it is made in a Solera style in that there will always be a small percentage of previous vintages in the wine (the first vintage used was 2005). 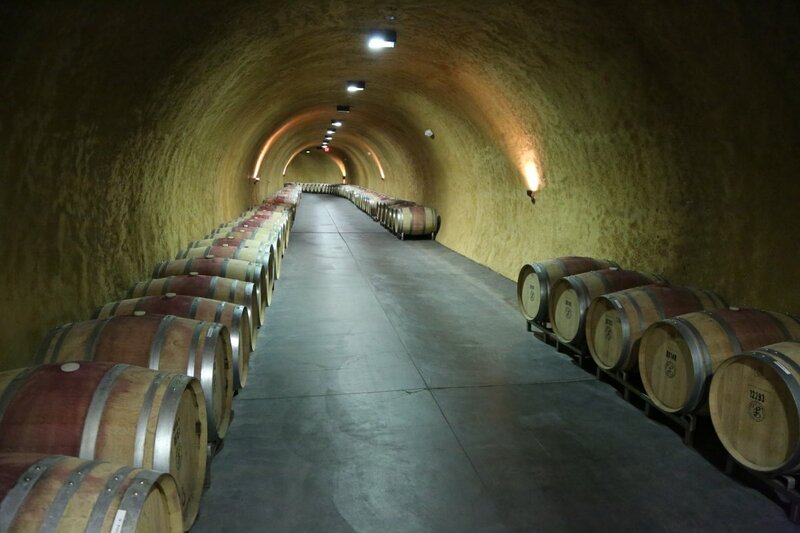 Only two barrels of this wine are bottled each year – approximately 50 cases. Each bottle is numbered by hand. 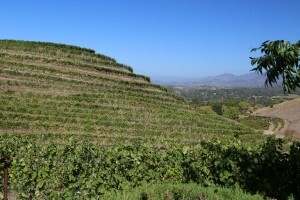 The Time III includes vintages from 2005 through 2009. On the bouquet it shows earthy notes – with aromas of mushroom, tar, cigar smoke and darker fruit. 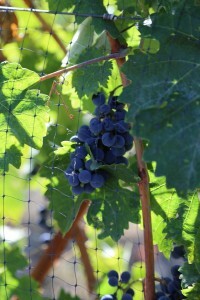 The tannins are well integrated, slightly dusty and delicate. The wine has very good acidity and a pleasing balance. Porter Family makes a second label (called Amani), created so that 100% of the profits of this wine go to the Amani Children’s Home in Tanzania, Africa. 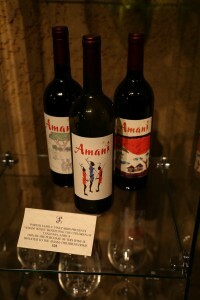 The labels for this wine were designed by children from this non profit. 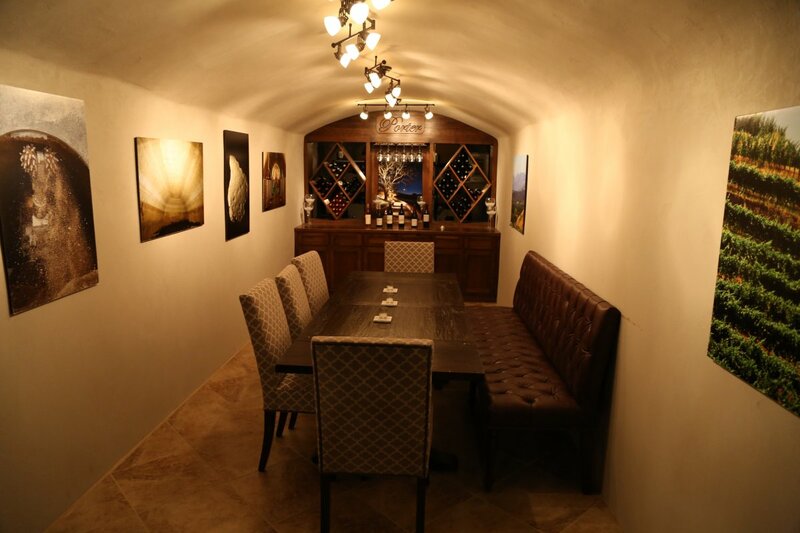 Tastings are for serious wine enthusiasts and are always private for your party. 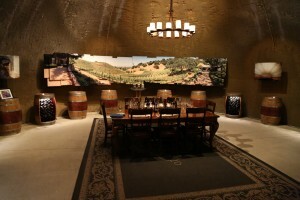 Tours walk through the vineyards learning more about the viticulture on site with the tasting taking place in a very elegant room within their cave. The cave is fully WiFi enabled (very fast network). 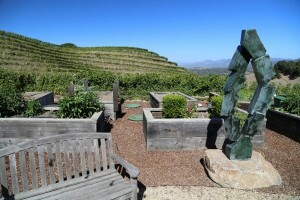 Small bites are paired with the wines including delicious chocolate from Napa’s own Chocolatier, Annette’s Chocolates. 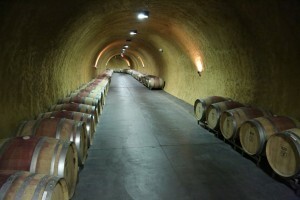 A library wine is typically also poured with each tasting.